Global Total Office specializes in the provision of high quality modular office furniture designed improve corporate collaboration and boost versatility. Take one look at their Adaptabilities collection and you'll quickly see what we mean. This line of modern components can be effectively used in just about every business interior imaginable. Today on the OFD blog we'll take a look at the benefits and versatile products from this best selling line. Prepare to be impressed! The Adaptabilities furniture collection offers an exceptional blend of modern and traditional characteristics. 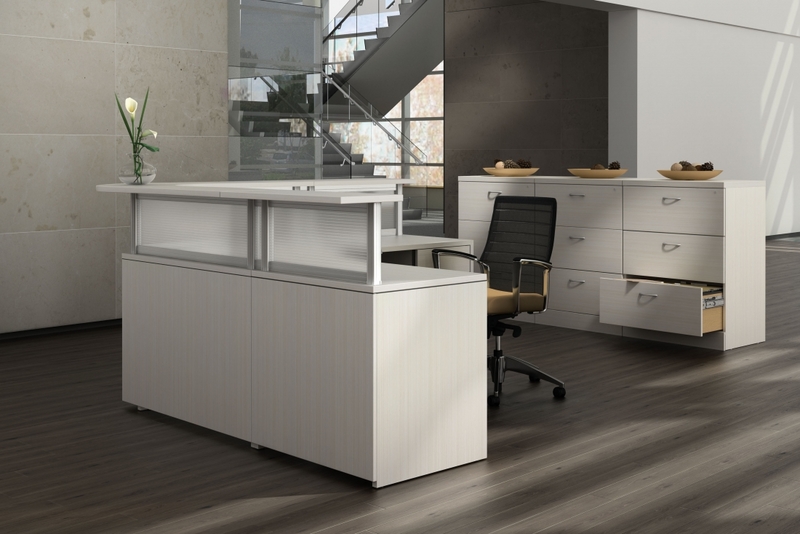 With a plethora of open concept executive office components, Adaptabilities makes it easy to craft both single and multi user desk configurations. Going for a designer look? No problem! Adaptabilities components are available in extensive finish combinations. You can even take your furniture configuration to the next level with ultra cool frosted paneling and power upgrades. This year, it's all about open concept office remodeling. As the days of traditional cubicle systems are coming to and end, businesses are striving to craft office interiors built for improved collaboration rather than privacy. The ability to do just that is what sets the Adaptabilities collection apart from most of the lines on the market in 2017. You can even use Adaptabilities furniture to craft elite conferencing areas. This full service line offers cost effective conference room tables and modular storage components that are a favorite of design teams and industry professionals alike. 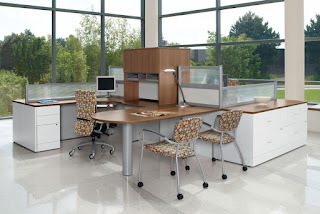 With Adaptabilities modular desking you can truly create interiors built for team interaction. Do you remember those days in school where you got to work in groups? Wasn't morale always better? Weren't you more productive? Businesses are starting to apply this concept and the results are in. Open concept collaborative interiors work. They're far superior in many ways than traditional paneling layouts. If you're ready to think outside the box with your office remodeling project, give Adaptabilities a look. You'll be glad you did. 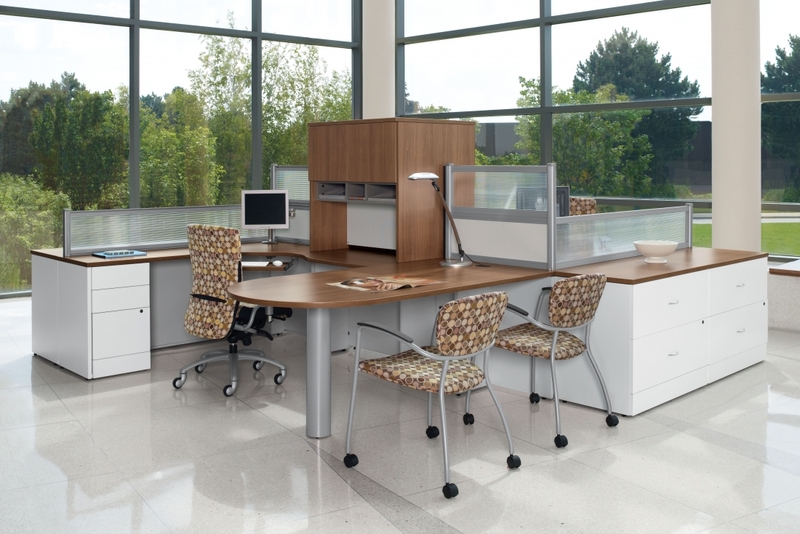 The open concept office furniture from this popular line will help you take operational functionality to the next level. Adaptabilities furniture is incredibly versatile, cost effective, and sure to leave a lasting impression on your valued office visitors. 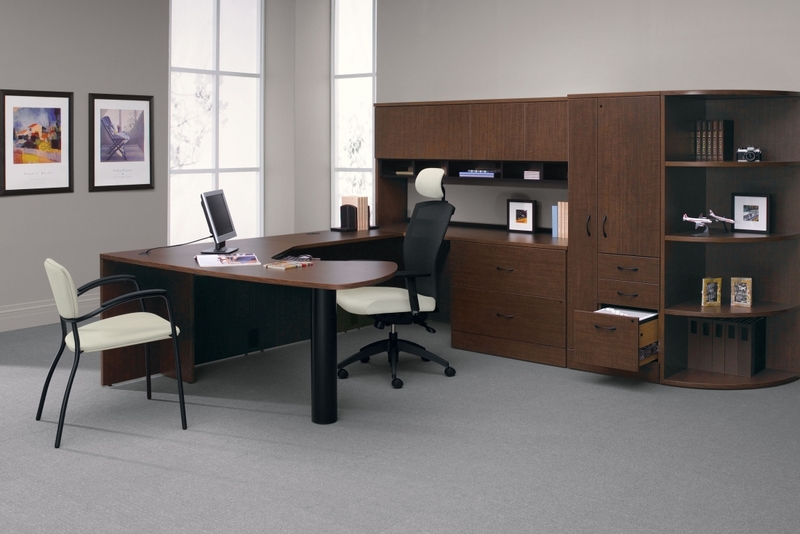 We give this Global Total Office desking line a well deserved 4.5 out of 5 star rating.